DineroMail is a unique and popular web payment platform that helps users to pay online in one of four most common ways, depending on the country: by cash, by VISA\MASTERCARD, by web wallet, by money transfer. As it was mentioned before, every DineroMail client have the ability to choose one of the 4 opportunities to make a payment. The first option is to print the code and use it in one of the exchange points. If you know the sales point next to the house that accept payments with DineroMail, show the printed code there and pay the required amount of cash, the money will be in your online account instantly. In case you chose to use a bank transfer, after providing all necessary information for the identification (login and password as well as bank account details). Right after that you will automatically follow to your online banking site, or the site of the bank that operates the transaction. For the VISA\MasterCard option you must complete the form you always fill paying online – enter your card number, the date of expire and CVV code from the back you’re your card. The last option is your newly created DineroMail account that works like regular web-wallet. After the registration you must deposit some amount of money on the account in order to fulfill the payment. When you choose this option you must enter your DineroMail information like the ID and password. After that your money will be transferred immediately. All the data of your account, including banking information and your personal data, is highly secured with the SSL encryption. That means also that no one can find out who has been making a payment, all the operations are absolutely anonymous. In most instances your transaction will be operated immediately. But be aware that in some countries as well as with some payment systems transactions are slower. Online casinos and dineromail: how to deposit? For the ability to pay for the products and services online with the help of Dineromail payment system one should select it in a list of available e-wallets. You further must choose how you’re going to pay (with card, bank transfer or right via the Dineromail wallet). And after filling all the fields with your information and accepting the payment you will send your money where needed immediately. Online casinos and dineromail: how to withdraw? The good news is that players can withdraw money from an online casino on their Dineromail account, that’s alright, but the main challenge is that not all modern online casinos allow this. Many casinos only provide an opportunity to deposit your account, and to withdraw the money you will have to use some other payment systems. 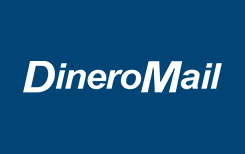 DineroMail is perfect not only for buying goods and services, with its help you can also transfer money to other accounts on different payment services.. While some casinos allow users both to deposit and withdraw via DineroMail, yet it’s not very popular payment method and so you should consider some alternatives.